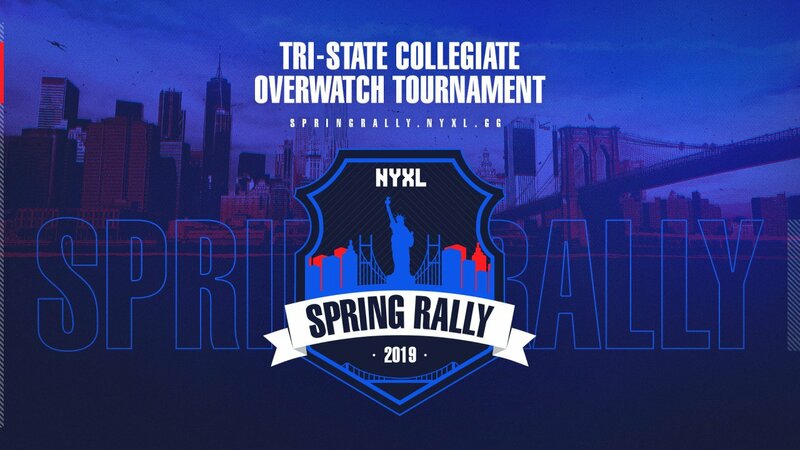 Four collegiate Overwatch teams will battle it out for $10,000 and the chance to practice with New York Excelsior in the final stages of the NYXL Spring Rally tomorrow during the Scarlet Classic V, the premier gaming LAN for colleges on the East Coast. In March, NYXL sent invites to over 40 schools for the chance to partake in the tri-state Overwatch tournament. Community members then “cheered” for their favorite schools over the course of three weeks. The 16 teams with the most cheers then moved to the first round of the bracket where the top eight competitors continued on to the tournament’s quarterfinals. 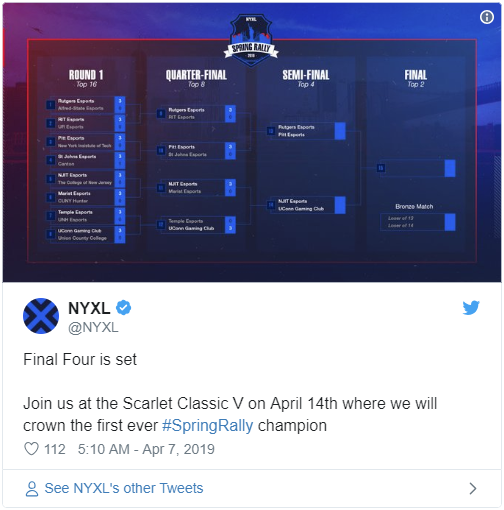 For the semifinals, Rutgers Esports of Rutgers University will play Pitt Esports of the University of Pittsburgh and New Jersey Institute of Technology will go toe-to-toe with the UConn Gaming Club, the esports team of the University of Connecticut. The semifinals kick off at 9am CT followed by a tiebreaker match for third place and the grand finals at 11pm CT. The victorious team will take home $10,000 and practice sessions with the professional Overwatch League team. Likewise, players on the winning team will receive the opportunity to qualify for the XL2 Academy, the New York franchise’s OverwatchContenders team. Overwatch fans can check out the action live from the official NYXL Spring Rally website.